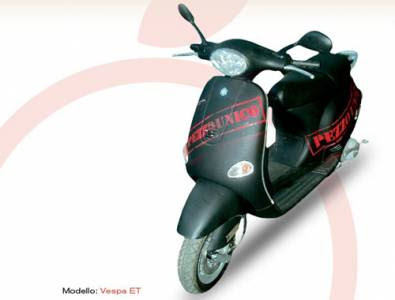 In the year 2001 Piaggio calls the “Vesparte” contest in which fourteen Vespas ET4 compete with the stylists’ personal interpretations varying from Art to Design. “Pezzo Unico” (“Unique Piece”) is the winner (Nicolino Di Carlo, Piaggio Style Department), the second place is conquered by the Vespa “Mucca Pazza” (“Crazy Cow”) by the stylist Paolo Iemmi (Piaggio Style Department). Great success for the “Vespa Ecologica” (“Ecological Vespa”) extremely appreciated by the Museum’s public.